This is Buffy. Say hello to Buffy. Good girl Buffy. 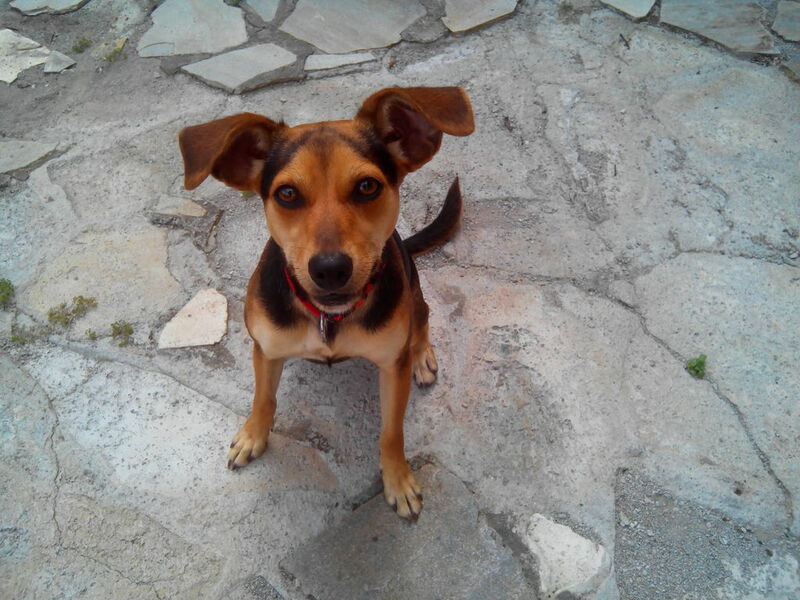 Buffy is (most probably) a miniature pinscher (MinPin), crossed with something like a pointer. She’s a year old and had been at the local boarding kennels for the past two months after her previous owner smashed himself up comprehensively in a motorbike accident. Fortunately for us he did all the hard work of bringing up a maniac puppy, instilling into her some basic training and respect for authority, but nevertheless, she’s a high-octane bundle who can stay on the move all day before crashing out. After 2 days I’m just starting to appreciate the challenges of taking on a highly intelligent, hyperactive animal like this. Some things are easier than might be expected; she’s a very quick learner, has bonded quickly, accepting me immediately as pack leader, and already knows several English words (and an unknown number of Italian ones). 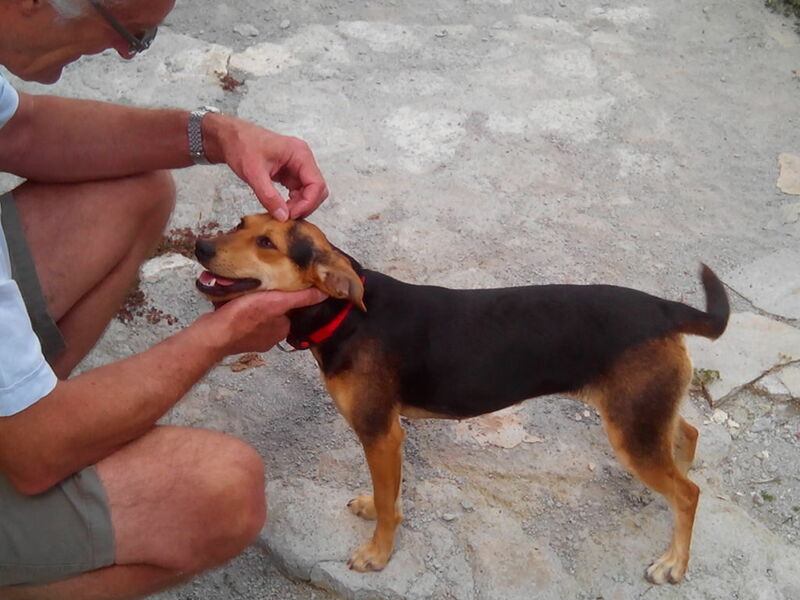 For a rescue dog she has virtually no hangups other than an apparent dislike for open water and a tendency to rush up to cats and greet them like long-lost friends, which few felines appreciate. The hardest thing to deal with is the unlimited energy. Three walks a day is OK in summer but as autumn then winter approach I may feel less inclined to be up at the crack of dawn (or earlier if I have somewhere to go that day) and put in an hour’s walking. Today we walked her through the middle of Ventimiglia and parked her under a cafe table while we had a two-hour meeting, and she was no trouble at all apart from still being full of beans when we returned home. The most immediate challenge is to get our two cats to accept the new family member. Lola, our black-and-white people-lover, is already showing interest and will probably become good friends with Buffy, but Little One is nervous of both people and dogs and will take some time to overcome her fears. She also has a tendency to go off for days at a time and stroll back in as if nothing were amiss, with no apologies for the distress caused. This happens every few months, usually in good weather, and although we’ve kept Buffy away from the area normally frequented by the cats, Little One has once again disappeared. Is it because we finally have our long-awaited summer, or has she taken exception to the sudden proximity of a lunatic mutt? Only time will tell.